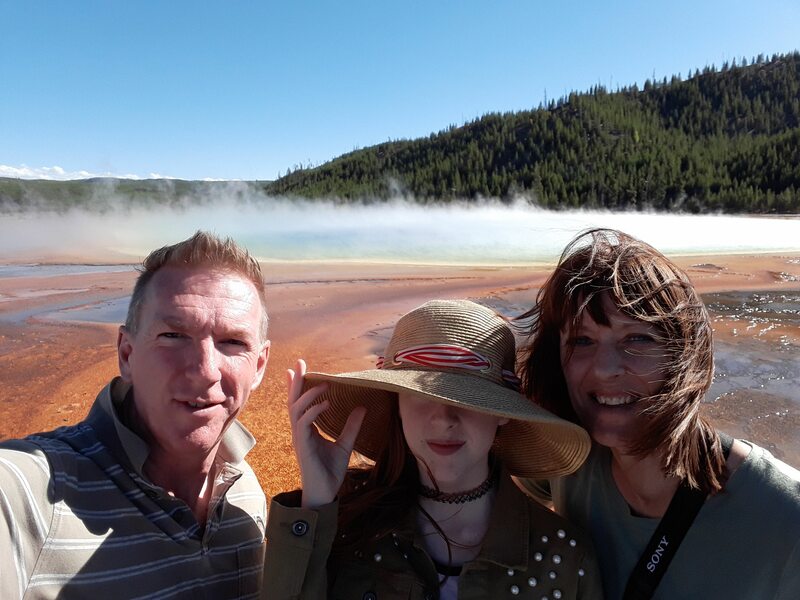 We travelled to Yellowstone National Park in September 2018 as a family of three. It’s a great destination with wildlife, beautiful landscapes, geysers and other volcanic activity. 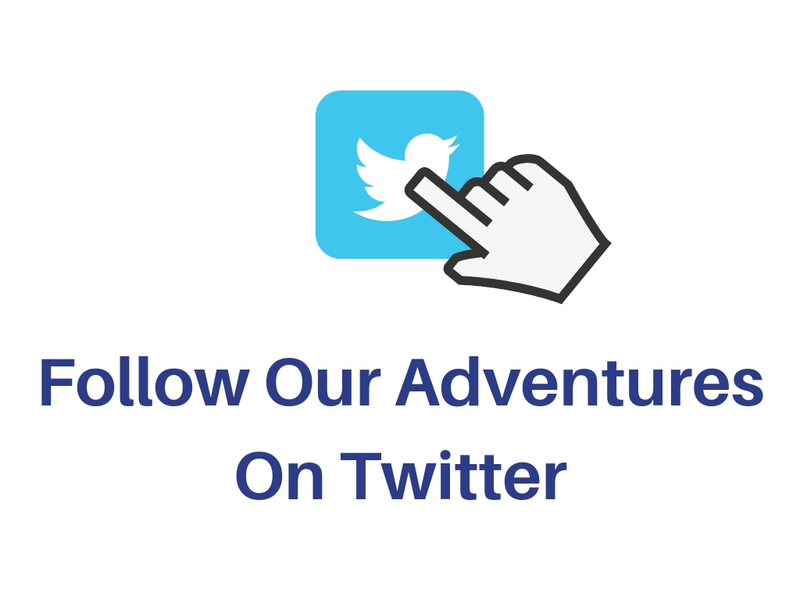 It can be a challenging trip to plan so we want to share what we learnt to help you have an amazing time. 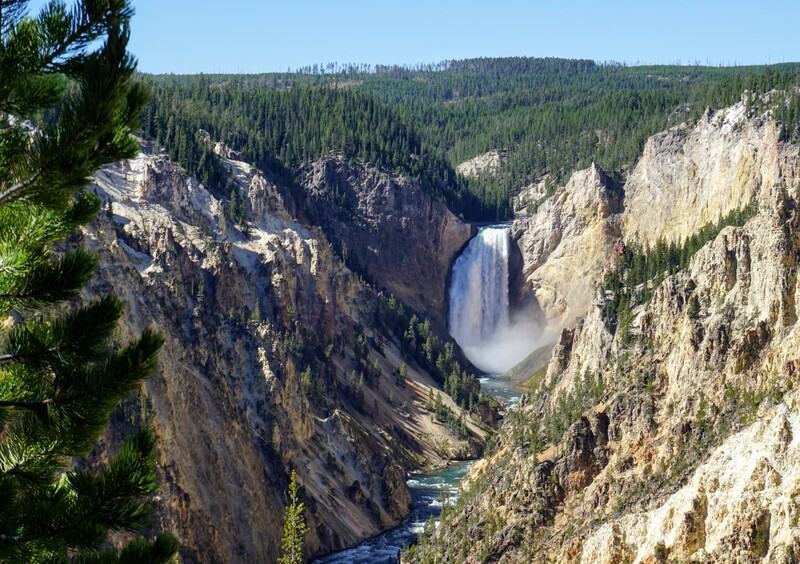 So here are our top tips for a Yellowstone family adventure. Yellowstone National Park had been on our bucket list for years before we were able to visit. This is partly because we wanted to visit at a very specific time of year. After a lot of research, we knew we wanted to visit in September and after the US Labour Day Holiday. Why then you may ask, well we decided Summer was out of the question as it gets so busy in the park. We didn’t want to be stuck in one long traffic jam around the park and be worried about trying to find somewhere to stay. Accommodation in the park books up over a year in advance and even outside the park, the popular places to stay fill up. A Spring visit was another possibility but the snow can be slow to go some years and we read it can get muddy due to the snow melt so we chose not to go on a Spring visit. Winter sounds a very cool ( excuse the pun ) time to visit but it takes a lot of planning and you have to book transport into the park due to there being no vehicle access during Winter. Winter also arrives early so by the end of September start of October snow can arrive. So there is that sweet spot of early September but after the big Labour Day holiday when the park can get very busy. Obviously, if you can only visit during other times that’s fine but just do your research. Please take it easy when driving. There is so much wildlife around but it’s not just in the park. The wildlife doesn’t obviously know there are park boundaries so there are lots of animals in the surrounding countryside. 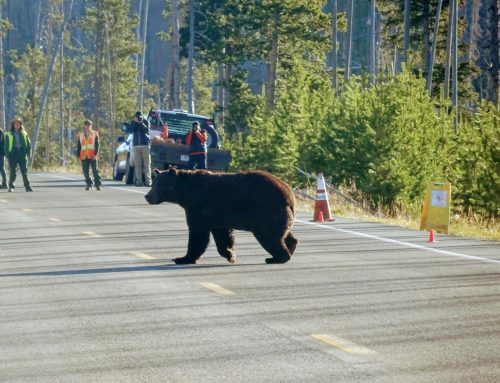 Buffalo, Bear and Deer are plentiful and they have to cross roads so watch out. This is especially important at twilight when the wildlife is more active but they can be around any time of day. It is best to be off the roads by dark all together just to be on the safe side. If you want to see wildlife then be in the park early. Animals are more active in the early morning and dusk. As the warmth of the day rises so the wildlife will become less active and rest. Remember our last tip though, if you’re out early careful on the roads. Food inside the park is expensive especially if you want a meal. But why not take food into the park with you and have a picnic. 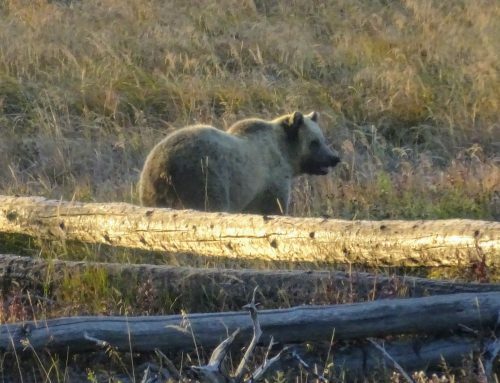 Do keep in mind the wildlife and especially bears who will sniff out food from miles away. 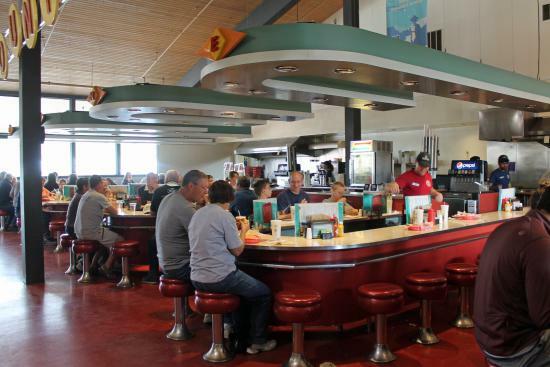 But there are lots of areas where you’ll be able to eat just fine. We stocked up on snacks each morning before we entered the park and it cut down on the costs inside the park. 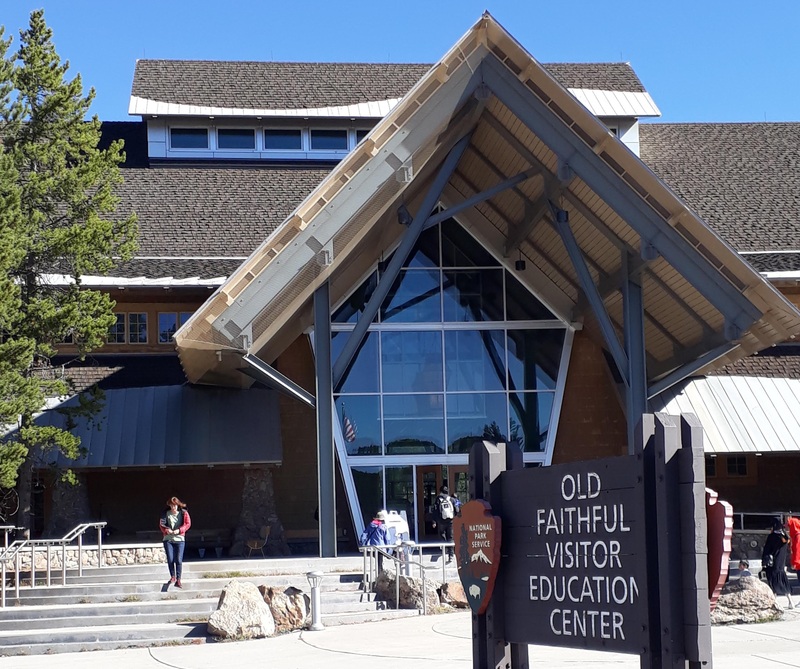 If you do want to buy food in the park, the general stores in places like Canyon Village and Old Faithful Village have a selection and prepare hot food, burgers and chilli etc at less expensive prices. You’ll take lots of photo’s, let me assure you. So make sure you have any extra batteries you need and have plenty of space on your memory cards. 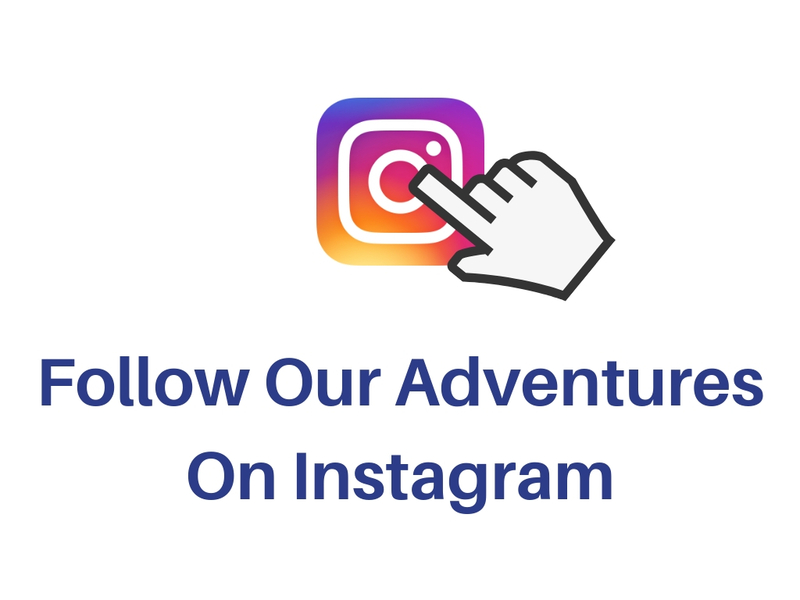 The wildlife and landscapes are out of this world so you’ll be snapping away all day long. The last thing you need is to run out of battery with no spare when you’ve got that Grizzly Bear in focus, ready to snap. Make sure you charge your batteries every night so that you have fresh, topped up batteries every day. If you want to spend less money and stay more flexible then we recommend staying outside of the park. 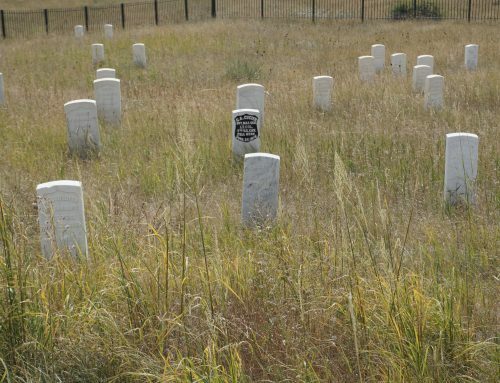 We stayed in Cody which lies East of the park and drove back and forth from there. We didn’t have accommodation booked in advance as we wanted to stay as flexible as possible. We’re not suggesting you don’t book anything in advance as places can get booked out at busy times but consider the towns outside the park. 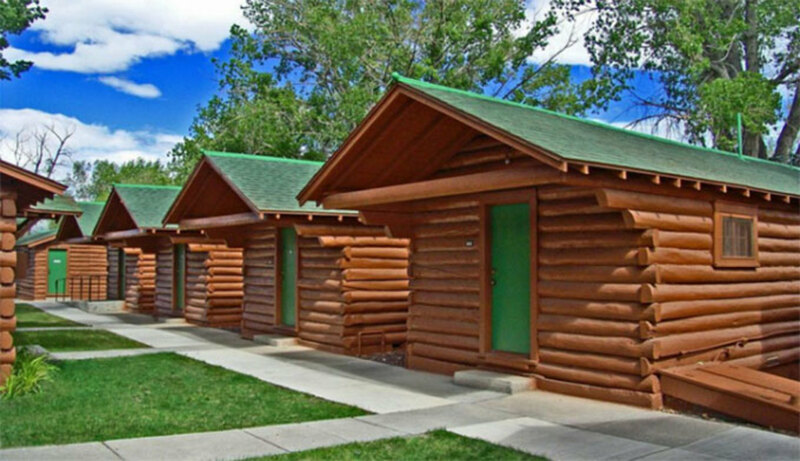 The park lodges can get fully booked over a year in advance unless you get lucky and catch a cancellation. But also the lodges are very expensive. The amount of wildlife around is staggering but remember it is wild. There have been some pretty silly people doing very dangerous stuff with animals in the park. We were told by a park ranger that some people actually believe the animals are put there like it’s some sort of safari park. This is nature at its most stunning but some animals are dangerous to approach. The animals don’t want to harm you but if they feel threatened or have young to protect they will defend themselves and the average adult is no match of an angry Buffalo or a protective Grizzly Bear. Don’t be frightened of them but just be sensible and enjoy the experience. 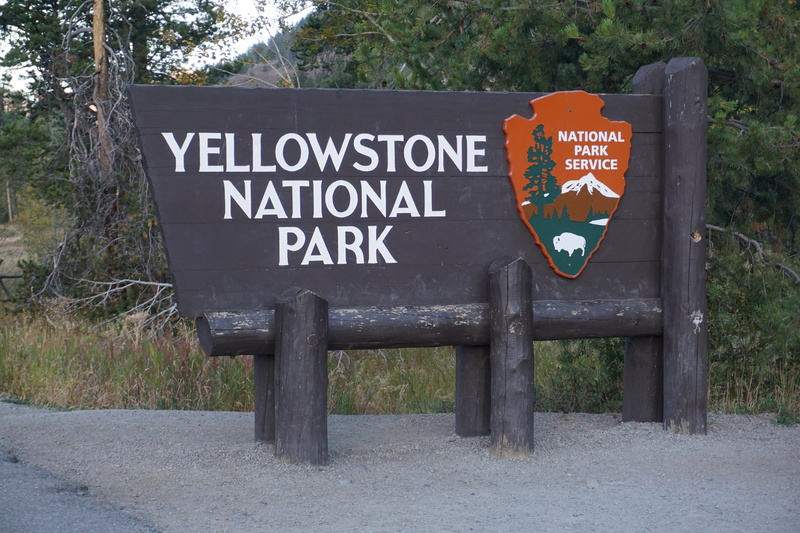 Yellowstone covers a big area and there is lots to do in the park. Give yourself enough time to enjoy it at a leisurely pace. 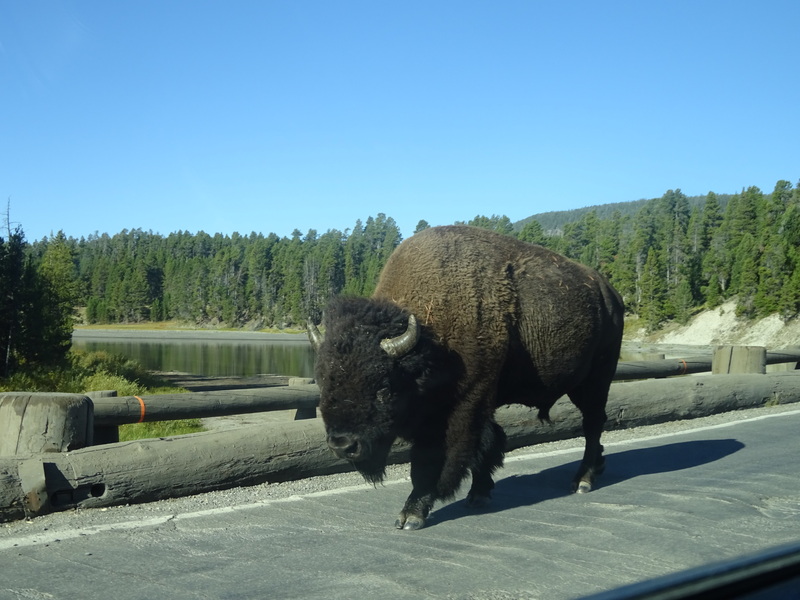 You can get caught up on roads if there happens to be a herd of Buffalo wandering along them. Traffic jams build up quickly if there is wildlife in or by the road. There is probably more to see than you think so take it easy. 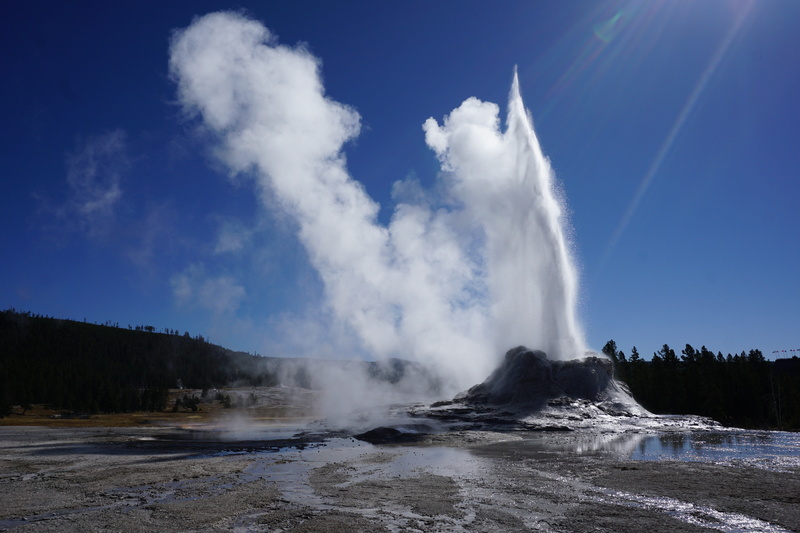 Everyone has heard of Old Faithful and the crowds that gather to watch it erupt are big. It was the low season when we were there and there were still hundreds of people. To be honest we weren’t that impressed by Old Faithful and there are lots of other geysers in the Upper Geyser Basin to see. 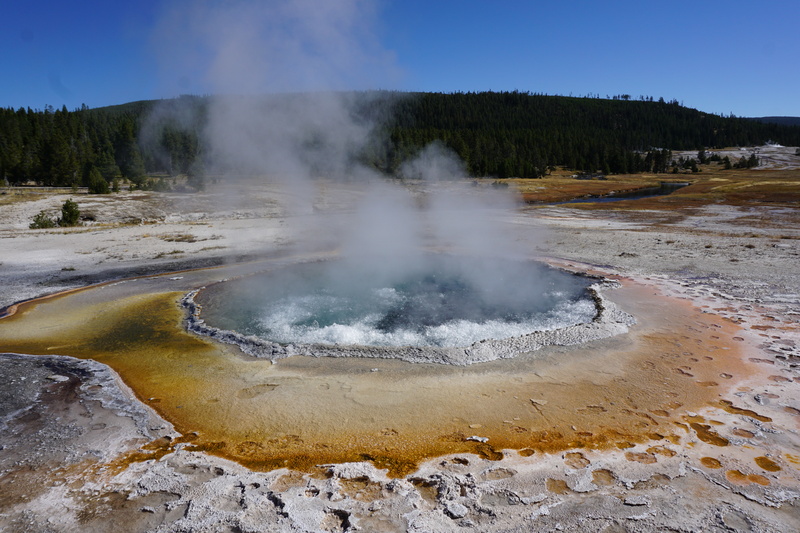 We recommend watching Castle Geyser if you can be there for when it erupts. It only blows every 10-12 hours so timing is crucial ( we just got lucky as it just started as we arrived ) and erupts for 20-40 minutes. It’s very impressive to sit and watch with its huge eruption of boiling water and then steam ( not as high as Old Faithful but much longer ). 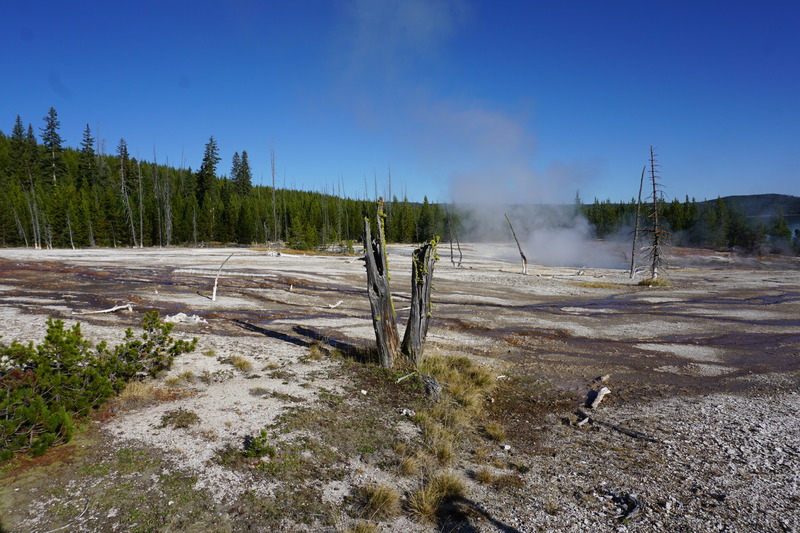 There are over 150 geysers in the Upper Geyser Basin alone so there are lots to choose from. There is a timetable of geyser eruptions in the Old Faithful Visitor Education Centre. You may be out and away from amenities for a long time so take plenty of water with you into the park. It gets hot especially if you’re in the car for long periods. Even in September we had warm weather and got thirsty. To get to a cafe or shop may take a long time and take you out of your way so it’s easier just to have plenty with you. Some wildlife makes itself very apparent. 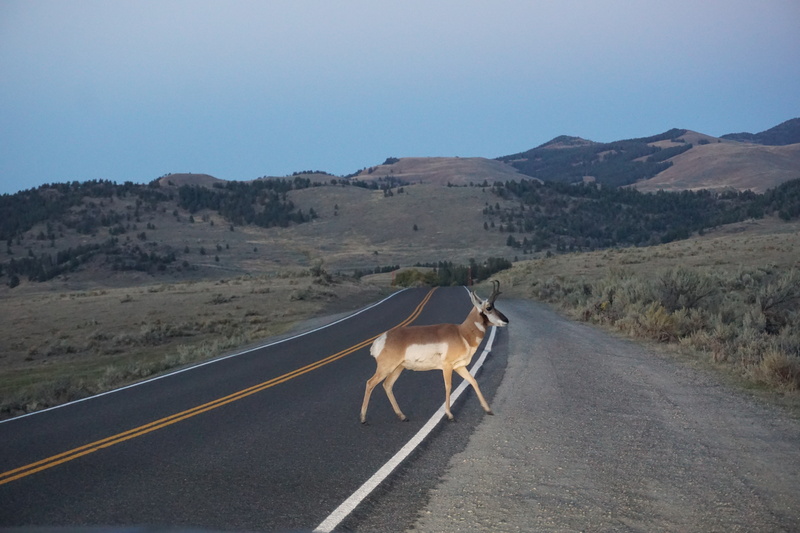 There might be whole herds of Buffalo or Elk walking along the road but some animals are more elusive and harder to spot. Always have binoculars or a spotting scope with you. It can be fun as a family to try and spot animals. Whether it’s deer in amongst the trees or a bear out in the meadows or smaller wildlife that’s harder to spot. You could put together a booklet before your visit of animals you might be likely to see and get the children to mark them off as you spot them. 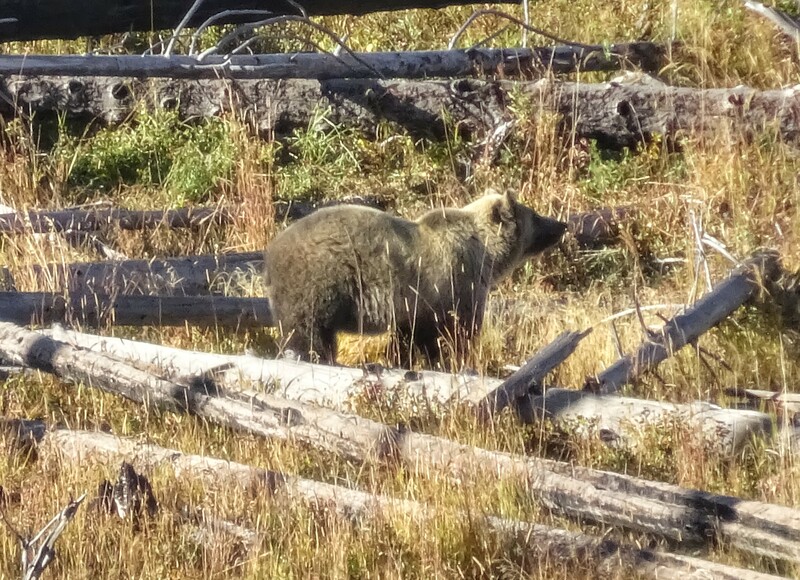 You can read more about our wildlife experiences in Yellowstone National Park here. Common sense but worth highlighting. 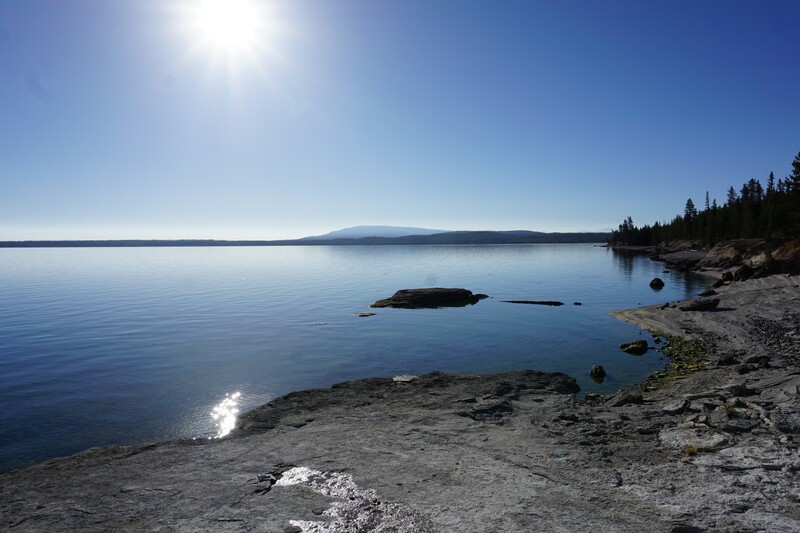 This is especially important at the volcanic sites such as the Upper Geyser Basin, West Thumb and others. Most of these areas have boardwalks to walk on as the ground, although appearing solid can be just a thin crust over the volcanic caverns, springs and vents below. 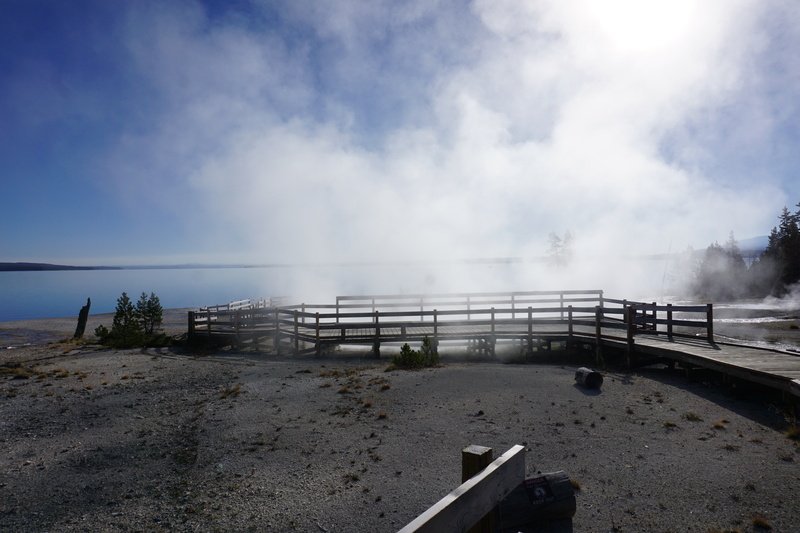 While we at the Old Faithful area a steam vent opened up underneath one of the boardwalks so to go off the path can be very dangerous. Best Not Leave The Path In Places Like This, You May Become A Feature! Remember that Yellowstone is basically one huge super volcano and as such there are lots of gases around including Sulphur. When we visited one site ( the Mud Volcano ) the smell of sulphur was overpowering and we got headaches and felt nauseous. If you have any breathing difficulties or susceptible to strong smells then just be aware that it can be quite smelly. This may sound obvious but the more research you do the better the time you’ll have. What do you want to see most, are you going to watch wildlife, are you going to hike? Which areas do you want to visit in the park? Like I said before, Yellowstone is huge so use your time wisely and research the things you want to see, do, experience. 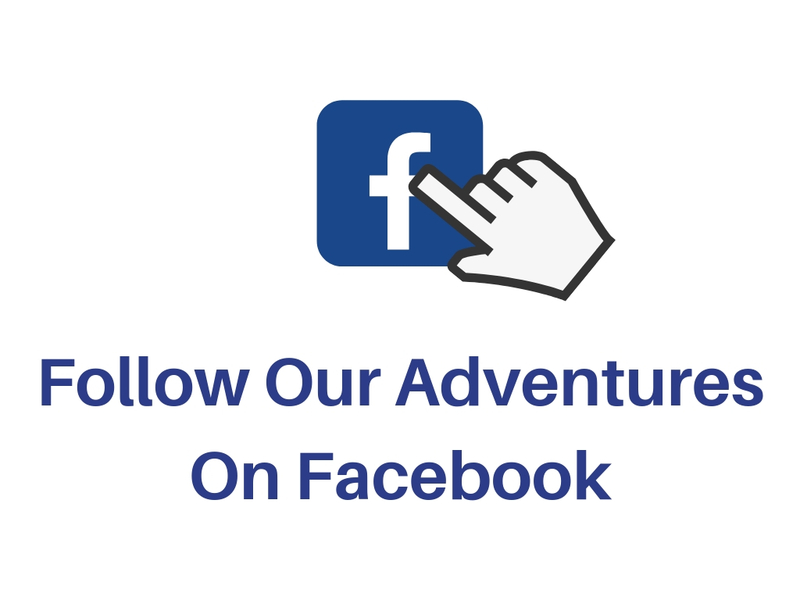 This post may help you plan your trip. 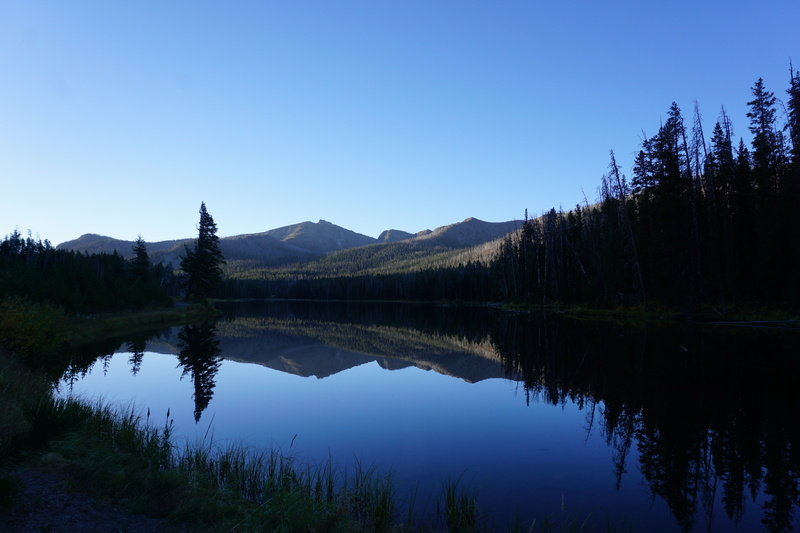 Yellowstone National Park is stunning and a family visit here is an adventure in itself. Planning a visit can be stressful and things might not go as you planned but remember to have fun and enjoy the experience as a family. For many a visit to Yellowstone is a once in a lifetime trip and the memories of your experiences will stay with you forever.